Does hawk79 belong in this group? Does webhero belong in this group? Are you married to a super hero? Are you married to a super hero? 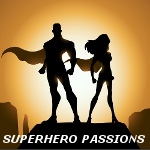 I am casting a project and hoping to chat with someone married to or in a LTR with a Superhero. Spidy!!! Spider-Man is the BOMB!!! Does dante6918 belong in this group? Does darkotaku69 belong in this group? Does bbwdantheman belong in this group? Does snakeeyes1988 belong in this group?